Omega Funding, LLC: We specialize in unsecured business financing and commercial financing for small to medium sized companies. We work with businesses owners nationwide. Do not limit yourself with one bank or lender that can only offer you one solution. We have secured a network of lenders, and private investors and have successfully helped finance our clients millions. Use our expertise to navigate the online lending marketplace and to capitalize your next business opportunity. 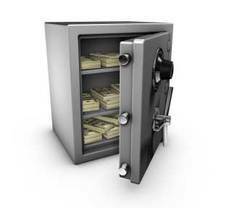 With unsecured business loans you do not need hard collateral such as AR/Equipment/Real Estate. ​Speak with one specialist from start to funding! We offer immediate financing for those businesses who can put money to work NOW. Omega Funding, LLC is the perfect partner to help finance your business. We work with the premier lenders and financing companies in the Industry that provide working capital to many companies across the country. From small family businesses to large private corporations. We will have a solution for you. These Financial options DO NOT require a loss in equity, giving up your ownership control and decision making. No lengthy loan committee process and no hoops to jump through. We are FAST, Professional and Reliable.. We have assisted hundreds of companies and have secured millions. If your business is making money and you need additional financing for growth then we are a fit for you. -Refinance of High Rate Capital. We will not charge you huge upfront fees to process your loan request. We will be upfront with you on our terms. We will NOT waste your time or our time. You might even get a quick NO to your loan request as we do not work with every one! Not an automated computer system. $1,850,000 Term Loan for Contactor. Refinanced High Rate Cash Advances and gave additional working capital. $85,000 Advance 18% rate for contractor in FLorida. Funded in 24 hours. $650,000 Term Loan for Assisted Living Office in Texas 10.24% 5 year Note. Funding in 7 business Days. $590,000 Term Loan Monthly Payment for Home Health Care Agency. 8.99% Fixed Rate. Unsecured Advance $250,000 15 months term. 20%. Owner fico 600 in Construction Industry. $500,000 Term Loan for Construction Company. 14.99% 5 year term. $148,000 for government specialist contractor. $150,000 for Texas Distribution Co.